That’s the entire device. Setup takes about two minutes. Since purchasing a 50” tv just out of college, I’ve always had a home media center to go with it. The first version of that home media center was a laptop with a DVI cable plugged into the back of the tv. It got the job done, but it wasn’t a very elegant solution. After a few months of struggling with the laptop setup, I bought a MacMini and installed Boxee on it. Back before Samsong bought Boxee, before they only made a hardware device, they offered a standalone version of their software that you could install on any machine. This setup was better than the one before, but still lacking. While I could use my MacMini’s remote to browse and play content, actually getting the content onto the computer was still pretty difficult. At times the software wouldn’t recognize different media and I’d have to get onto the computer with the mouse and keyboard and try to use the clunky interface to get it to correctly label everything. At some point Boxee stopped updating the software and things got even worse. Enter Plex. Plex is largely the same as Boxee’s software, but it’s still supported by a development team. It was an upgrade, but still suffered from all the same problems as Boxee did. Loading media still involved getting onto the MacMini connected to an array of external hard drives. Outside of media I put on the computer, accessing and navigating third party content is still a mess. While it did have a cool bookmarklet feature to save content from the web (vimeo, youtube, etc. ), I never really used it. Towards the end of my media center powered by Plex’s lifespan, the MacMini’s aging hardware really started to cause problems as well. There would constantly be lag or delay in video playback that would drive me nuts. 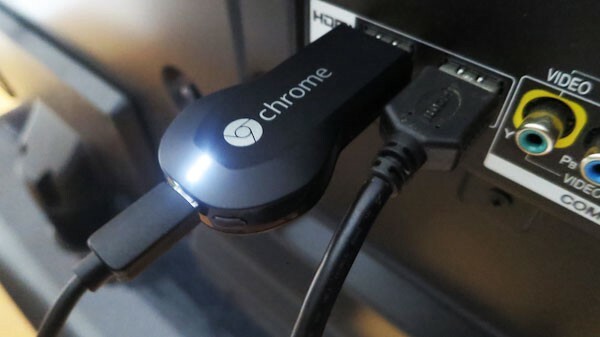 Finally, I bought a Google Chromecast. We have a few at the office to help with presentations at the conference table and I’ve really started liking the device. You interact with it through a simple browser extension, minimizing any physical interaction with the actual tv. It has been great for meetings in the office and one of our developers finally convinced me it would be much better for my setup at home. Since buying a Chromecast and setting up at home, I haven’t even turned on the MacMini. It turns out that just streaming media from my laptop is far easier than having some custom media center under my tv. All of the problems of loading media have been eliminated. The streaming itself is absolutely flawless. It doesn’t matter if I want to watch YouTube videos or stream something from iTunes, it all works the same in that it just works. I really questioned why Google put out this device in the first place, but a few minutes of streaming YouTube and I totally get it. The Chromecast browser extension adds a bunch of new functionality to YouTube.com. You have a tv queue of what’s streaming to the device and you can add any content you want to the queue. You can choose to stream all of the new Conan clips or you can choose to stream all the new videos from users you subscribe to. It’s very easy to see that this device exists to get Google into your living room. The future of the home media center isn’t a smart tv, it’s a dumb tv connected to a smart device.